More than 150 vintage, antique and handmade vendors that have been creatively curated by Junk in the Trunk Vintage Market will showcase their treasures at WestWorld in Scottsdale April 26, 27, & 28, 2019. With a reputation for featuring quality vendors selling unique items and inspiring design, the market continues to be a popular attraction for vintage enthusiasts across the Valley. In addition to being able to browse through numerous booths full of all things chippy, rusty, vintage and handmade, Junk in the Trunk Vintage Market will once again feature live music, delicious food, drinks, photo-ops and infinite amounts of design inspiration, making it a one-of-a-kind shopping experience. Attendees are encouraged to bring a package of disinfectant wipes, diapers/wipes, or feminine care products to the Market to donate to Maggie’s Place, an organization that provides houses of hospitality and ongoing support to help pregnant and parenting women in need reach their goals while welcoming them into a community filled with love and dignity. Attendees will receive $1 off admission with a donation. For more information on Junk in the Trunk Vintage Market, a detailed list of featured vendors, and additional information, visit junkinthetrunkvintagemarket.com or follow us on these social media platforms – facebook.com/junkinthetrunkvintagemarket and @junkinthetrunkvintagemarket (Instagram) – or follow along via hashtag #junkinthetrunkvintagemarket or #partylikeajunker. 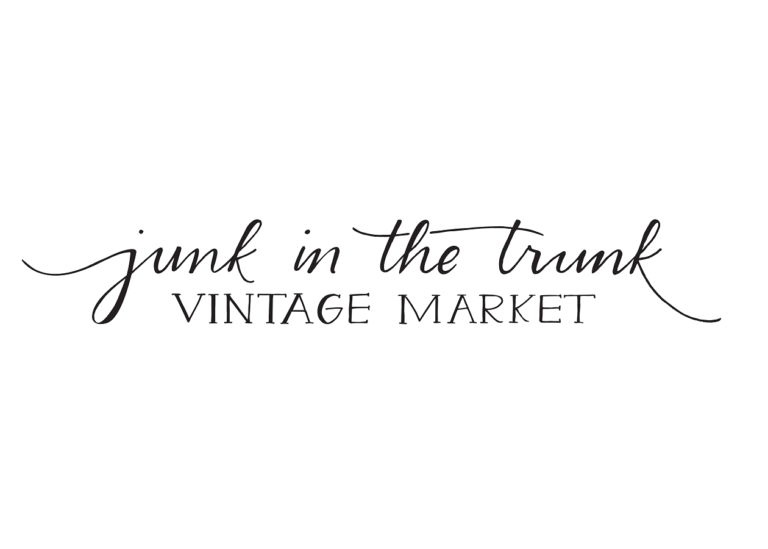 •VIP and Early Entry tickets will be available for purchase March 1st at junkinthetrunkvintagemarket.com. •The Friday night shopping VIP event will be on Friday, April 26 from 5:00-9:00pm: $50.00 in advance or $65.00 at the gate. •Early Entry, 8:00-9:00am Saturday, April 27: $20.00 in advance or $25.00 at gate. Includes first pick on Saturday morning before crowds, re-entry on Sunday starting at 9am, and a Junk in the Trunk Reusable shopping bag (Pre-sale ONLY). •Kids 12 and under are free. •Bring a package of disinfectant wipes, diapers/wipes, or feminine care products to donate to Maggie’s Place for $1 off your ticket. •Venue charges for parking – $5.00 per vehicle.